A new rum product is on the market from the Grenada Distillers Limited, formerly known as the Grenada Sugar Factory. The Woodlands-based brewing company has launched “Black Gold” which brings forth the essence of Grenada and its most popular spice, Nutmeg. Distillers held a ceremony on October 16 to launch the product in the presence of government officials such as Economic Development Minister, Oliver Joseph, as well as business executives. 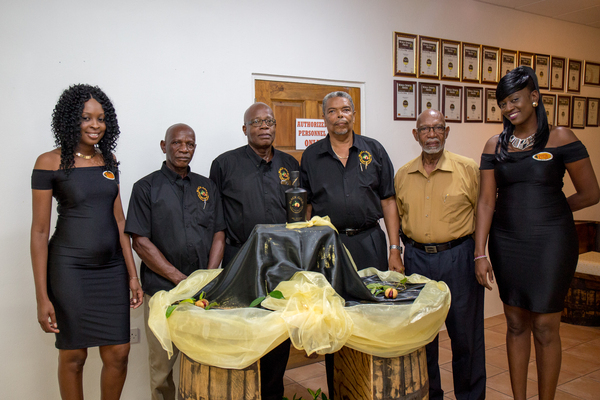 The Grenada Distillers Limited, one of the island’s oldest rum distillery plant, pro­ducers of the world famous Clarkes Court rum, has once again given eligible drinkers another choice of what was referred to as quality rum with the launch of their latest product Black Gold, utilizing for the first time one of Grenada’s premiere export crop Nutmeg.